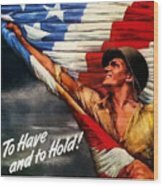 There are no comments for To Have And To Hold - War Bonds. Click here to post the first comment. 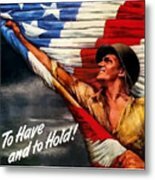 This vintage World War Two poster features an American G.I. 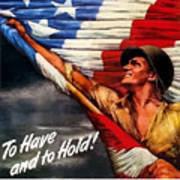 waving a giant American Flag. It declares, "To Have And To Hold! -- War Bonds". 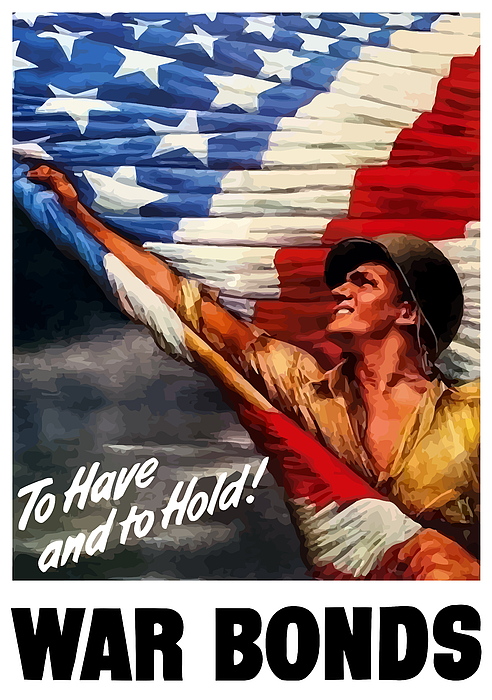 Celebrate American and WW2 History with this digitally restored vintage war poster.